Starting a small business isn’t easy. Obtaining the financing can be difficult, especially since you might have trouble finding a bank that is willing to take a chance on you. One of the ways that the government encourages banks and credit unions to help small businesses thrive is by guaranteeing a part of the loan amount so that the risk to the lender isn’t as great, when loans are made under this auspice they’re called SBA loans. The Small Business Administration (SBA) offers to help lenders guarantee loans so that they are more willing to provide the funds that drive small enterprise. However, it’s important to realize that the lender is still making the loan – and the decision. 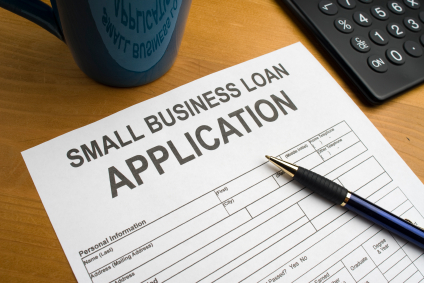 As a result, you need to have a solid loan proposal if you want an SBA loan. This is basically a cover letter to the lender. It should provide an overview of your company, and the background that you, personally, have. It should state the reason you are applying for a loan, and might even propose repayment terms. Be clear about how the funds will help you build your business, as well as how you expect to repay the loan. After you have provided the executive summary, it’s time to share a profile of your business. Include the type of business you have, and its location. Share the type of product or service your business offers, and a brief history of your company. The financial institution will be interested in your annual sales, as well as the number of employees you have, and significant recent expansion. Include information on the competition, your customers, your suppliers, and how you expect to improve your business. You should also include information about the key members of management for your company. Resumes or short bios of each key member should accompany the business profile so that the lender has a good idea of whether or not the company is in capable hands. Share your financial statements with the lenders. This should include three years of information from the company, including balance sheets and income statements. Provide a current statement, and break your accounts receivable down into 30, 60, 90, and past-90 increments. Also, include projections for the coming year, as well as an overview of when you expect to reach positive cash flow. You will need to explain any assumptions you make, and format your projections in basic profit and loss. This portion of the SBA funding package should set forth how you expect to repay the loan. Show cash flow schedules, as well as budgets, and other helpful information. You can suggest a repayment plan that is reasonable. Make sure that you provide other necessary documentation. This includes copies of licenses, franchise agreements, lease agreements, letters of reference, articles of incorporation/partnership agreements, relevant contracts, and business plans. As you can see, it is easier to get your SBA loan if you are an established business, rather than a startup. It’s a lot of work to put together a successful SBA loan proposal, and it should be approached with thought and care.